Plan to host focused conferences for key delegates or creative brainstorming sessions at our inspiring Nagle Dam Conference Centre, built of thatched sandstone with views down to the glittering waters of the dam below. The Nagle Dam Conference Centre is fully furnished to accommodate up to 30 delegates comfortably. A portable projector can also be booked if required. We are pleased to provide a chef to offer you onsite catering with a choice of menus. Delegates can be accommodated overnight onsite in our various lodges and safari-style tented accommodation. Talk to us and we’re also happy to arrange add-on activities from game drives and nature trails to fishing for your delegates. Between the folding Karkloof hills, just 24km from Pietermaritzburg, lies one of KwaZulu-Natal’s largest dams. On its shores you’ll find the ideal family resort – welcome to the Albert Falls Dam and Game Reserve. You’ll reach the reserve along the Albert Falls Amble in Greytown Road, ready to relax in its compact 3 000ha. 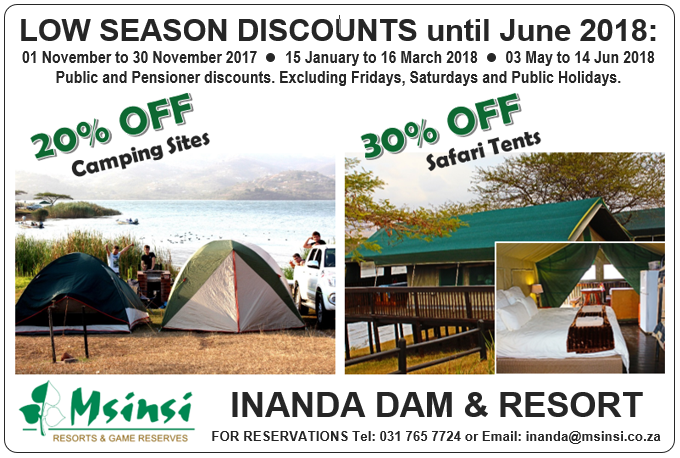 You’ll be game viewing from the moment you arrive, often spotting buck and zebra grazing on the banks of the dam. Just a few steps from the chalets, you’ll find somewhere else to entertain energetic children – the swimming-pool and children’s playground. On all sides, you’ll be tantalised by bird calls, tempting you to follow the nature trails. And that’s before you even think about trying the water-skiing, sailing and canoeing. As for the fishing - that’s legendary . . . And so are the fishermen’s tales! 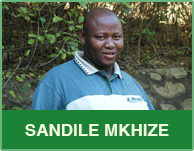 I’m Sandile Mkhize, Manager at Albert Falls Dam and Game Reserve – the special mix here of game viewing, relaxing scenery and exciting water sports always gives me a great feeling of surprises round every corner.